Offering you a complete choice of products which include stainless steel autoclaves, abbe refractometer, antibiotic zone reader, b p apparatus, chemical balance and cork borers. 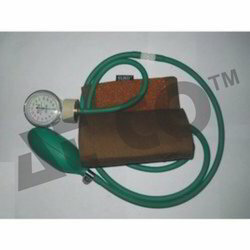 Certified accurate to +/- 3mmHg. For Use in Colleges and Industrial Laboratories, Advanced beam engraved with a rider scale, for use with 10 mg rider, balancing nuts, agate bearings and knife edges fitted on a wooden board in a polished wooden case. 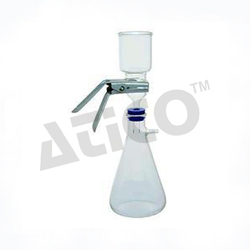 Capacity 200 gm, sensitivity 0.5 mg.
Cup Vortex Mixer- Test tube mixer : To accelerate the mixing of solution in test tubes Short, rapid accentric stroke, motor driven Neoprene cup imparts vigorous agitation to tubes or small flask held in or against it. Particularly efficient for dislodging sediments from tips of centrifuge tube. The housing is 5"x 8"x7". The Vacuum Rubber at bottom prevents the machine from walking. Complete with speed control, Cord and ON/OFF Switch and indicator to work on 220V. 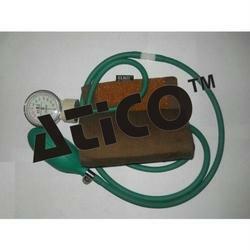 1 Ph, 50Hz, A.C. Supply. Disintegration Test APP, I.P. Standard (double basket) : a) The test equipment work on up down movement of tablet in medium of water kept at 37 DegreeC. Built in a M. Steel powder coated cabinet of 17"x12"x9" high which housed a geared motor for the vertical shaft drive the shaft moves up and down by 50 to 60mm at speed of 28-32 strokes per minute. 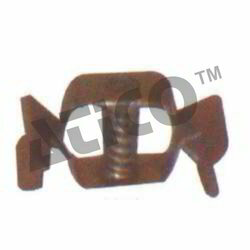 On the upper and of the shaft fitted a horizontal strip with clamp on either side. These clamps hold glass vessels open at both ends and with stainless steel wire gauge with rubber rings at the lower end, which dips in water. 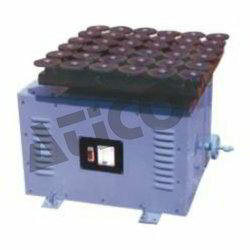 Two independently thermostatically controlled hot plate rating 65 watt are fixed on the top of the cabinet upon which neon indicators for motor hot plates are fitted on a panel. Mains fuse with two meters mains cord and plug provided. Work on 220 volts A.C. Mains. 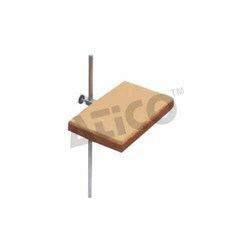 Two sizes of 6”x4” and 9”x6” a) 9”x6” with tie in elastic bands under which the subject can be quickly slipped in, with lead weighted rests to prevent floating in the tray.a) 6”x4” Size supplied with clamp for fixing in stand.Cork sheet covered with elastic band & clamp. 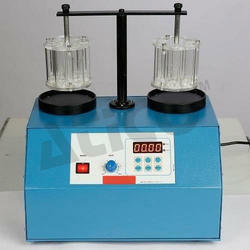 A basic method for determination of moisture content, measure percent by weighing and drying simultaneously. 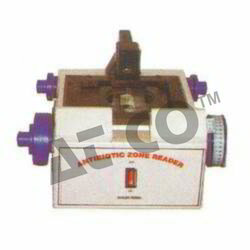 Infra Red radiation are reflected by a bulb and its temperature is controlled by a regulator. 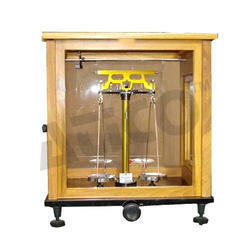 The balance scale is divided in terms of moisture content on wet weight basic. Weight : 5gm, 10gm, 20gm, 25gm as required. Capacity Unit for six tests with energy regulator. 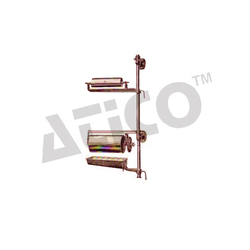 Electrically operated on 220 volts A.C./D.C compressing of mild steel tubular stand powder coated and Kjeldhal test heaters and brass condenser rack with water supply arrangement for condensers and clamps. 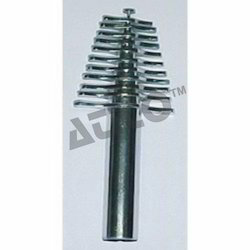 Kjeldhal heater box is provided with asbestos cement top to receive the Kjeldhal flasks with electric heating elements connected through individual ON/OFF switches & controlled by a energy regulator or individual energy regulator, without glass parts. The receiver flask can be kept on the stand. Unit for three tests with single energy regulator. Unit for three tests with three energy regulator. Unit for six tests with single energy regulator. Unit for six tests with energy regulator. 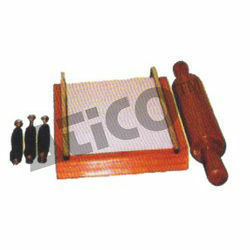 Advanced Technocracy Inc. is manufacturer, exporter & supplier of Long Paper Smoker & Varnisher. Hand driven with wall fixing arrangement. 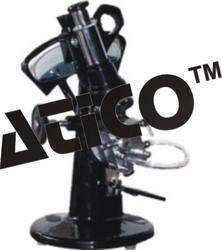 Portable Stand : To carry Long Paper Smoker & Varnisher-with castors. Drying Stand Circular : Stainless Steel for 24 papers, portable, space saving. 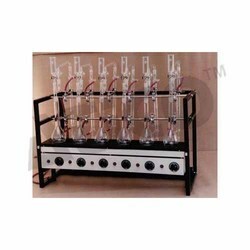 A series of multi-purpose duty shekers, complete with carrier for flasks test tube racks, bottles etc. 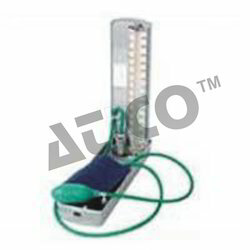 Speeds are uneffected by normal live voltage fluctuations or loading within specified limit. Note : Timer (Analog/ Digital) can be fitted on request at extra cost. Vacuum type flask and clamp. 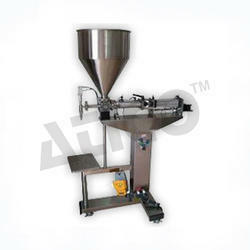 Same as Collapsible tube Filling Machine but Electrically Operated. Suitable to fill tubes, bottles etc. In the range of 5 gms to 90gms. 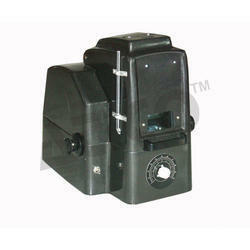 Per stroke, motorized operated (motor 1/2 Hpor DC geared motor). 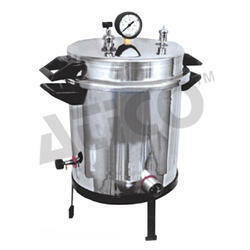 The unit is Supplied complete with 3 set of standard nozzles and all electrical accessories in the motorized models. Made from Die cut sheet to hold the Kymograph paper on drum. 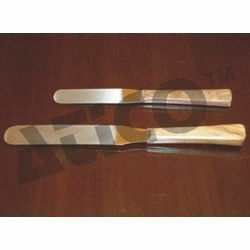 Stainless steel 6”x1” vide blade, stout flexible, made from imported stainless steel with superior wooden handle. 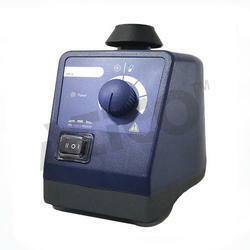 Looking for Pharmacy Lab Equipments ?